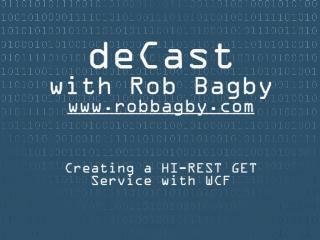 Watch Rob Bagby illustrate how to consume a HI-REST GET Service (exposed using WCF 3.5) from Silverlight 2, beta 2. Rich Internet Applications are a common consumer of RESTful services. 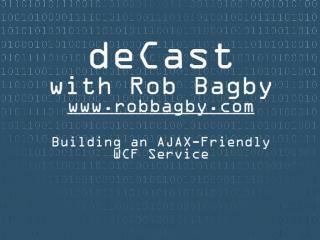 In this screencast Rob shows you just how to consume these lightweight services. Excellent job on this video series. Was wondering if the source code is available for download ?